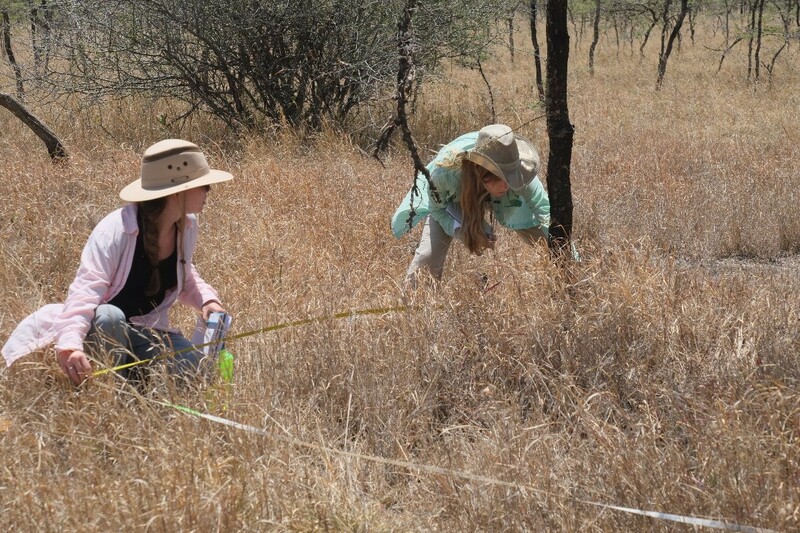 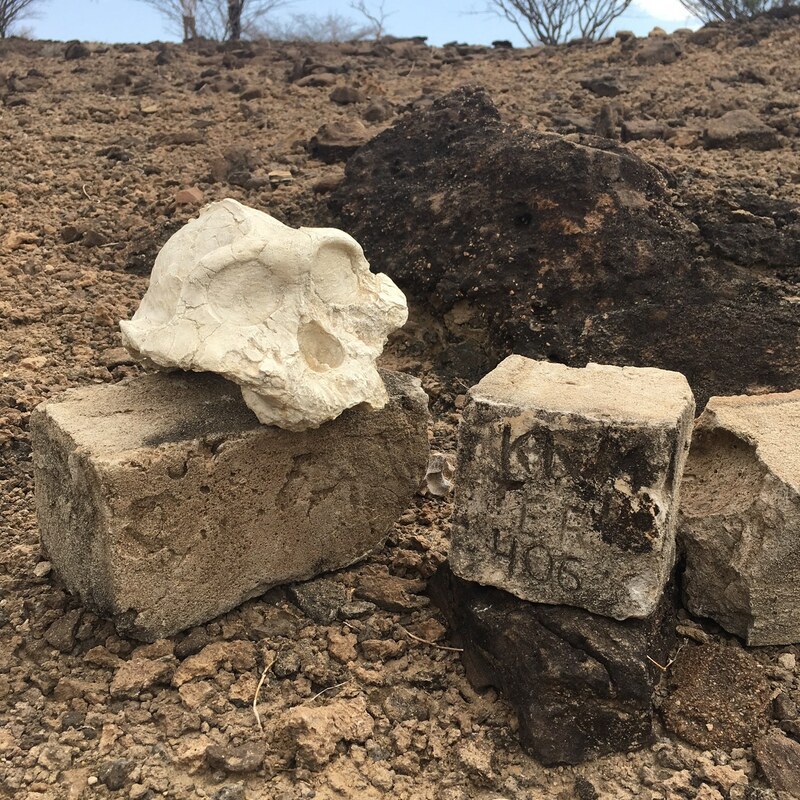 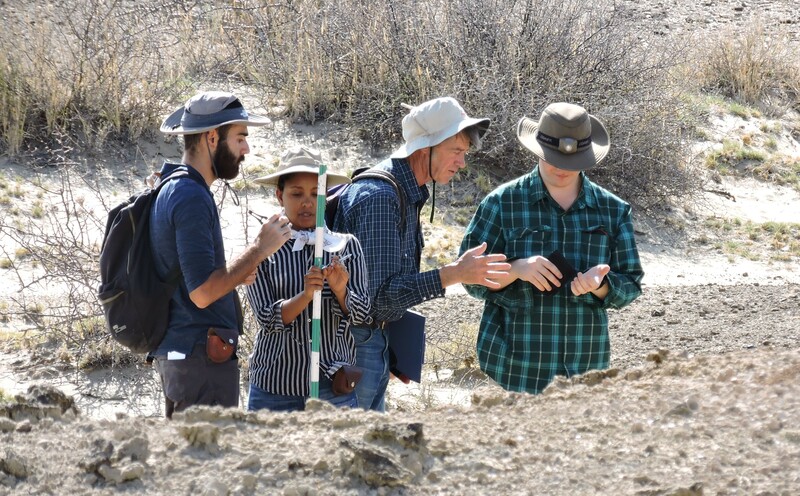 The Fall 2015 TBI Origins Field School students have been learning the field ecology of African savanna at the Mpala Ranch located on the Laikipia plateau north of Mt Kenya. 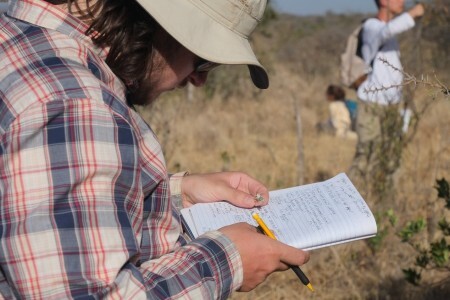 We have had amazing field excursions so far, visiting the lions, the hippo pool and the Mukenya Mountains. 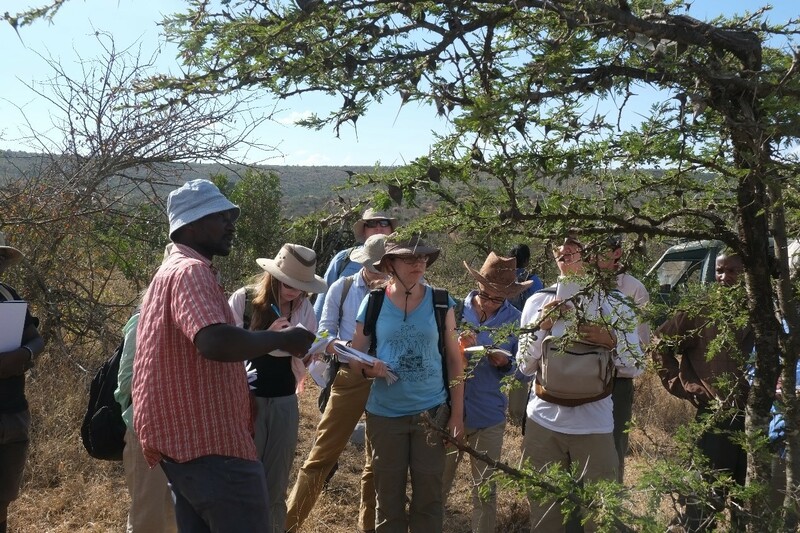 Our first few days of classes were mostly about savanna vegetation and its relationship with both wildlife and livestock. 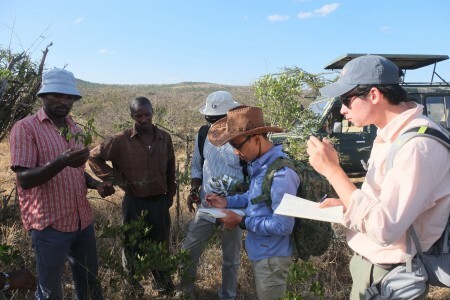 We had a productive day with Mr. Kimani Ndung’u out in the field learning how to identify common plant species of the African savanna and how to measure ecological parameters such as species density, abundance, biomass estimates, etc. Kimani is specialized in plant ecology and has been working at Mpala for several years. 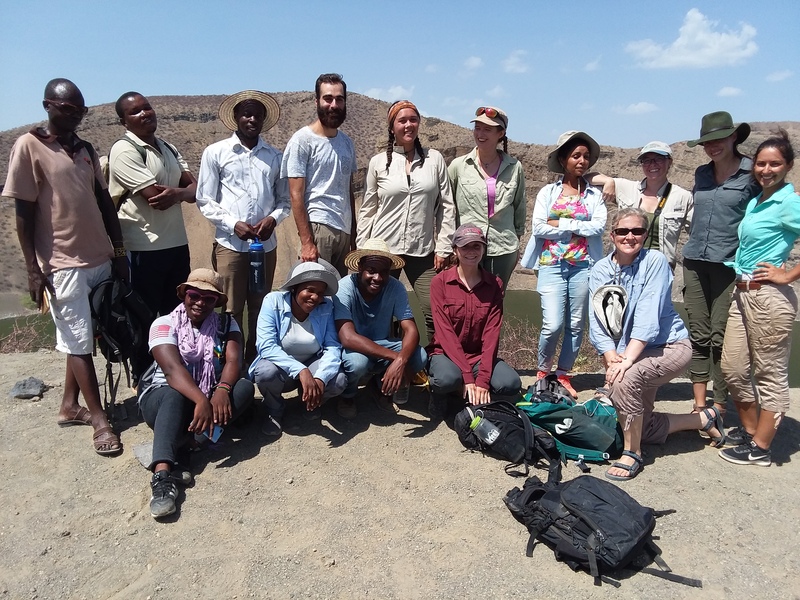 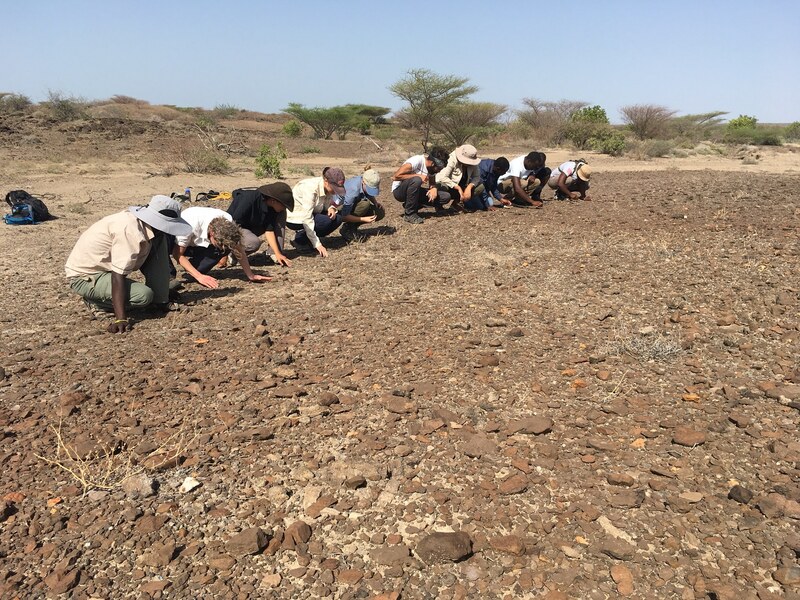 Despite plenty of leaning, sunshine and dust, our young field school ecologists have been doing very well in the field trips, enjoying the views of the African savanna, the animals and wonderful field experience with the instructors. 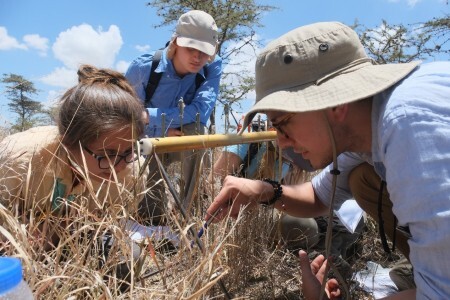 Students learning how to identify common plant species in the African savanna. Kimani introduces a common species of Acacia, which is protected by ants! 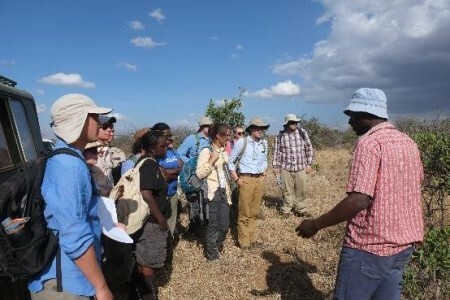 The next day, students learned about the hydrology of the African dryland with Mr. John Gitonga. John is the lab manager of the ecohydrology lab at Mpala in collaboration with Princeton University. An amazing body of ecological work has been done at Mpala comprising seasonal changes in river levels, evaporation pattern over the savanna landscape and general water management in the Laikipia region. 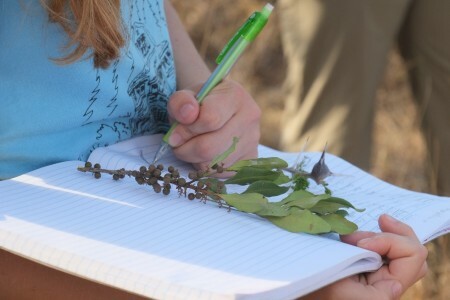 Apart from a significant amount of time in the classroom, student also saw demonstrations of lab techniques and went out for some data collection in a local river. 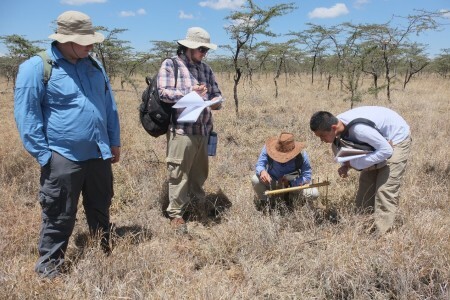 Plenty of practical experience! 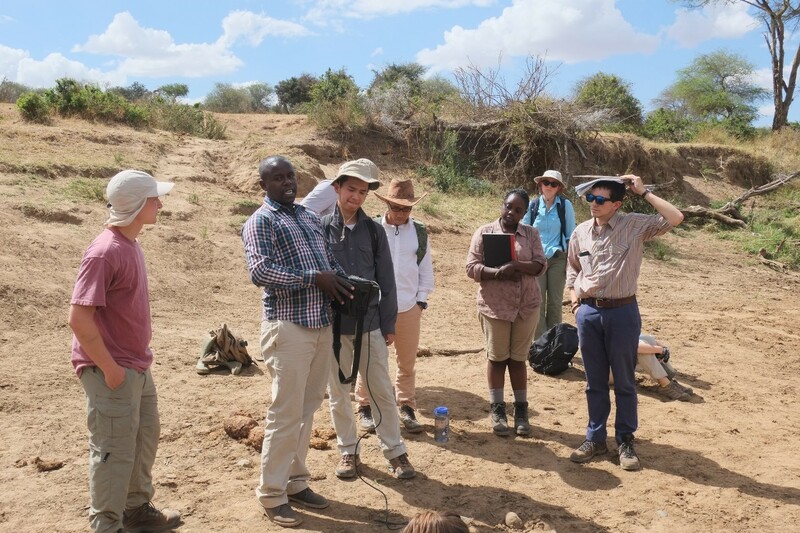 Mattia, Boyu, Abel, Pamela, Meredith and Taylor listening to Mr. Gitonga (second left) explaining the “big fish” system (not for food!). 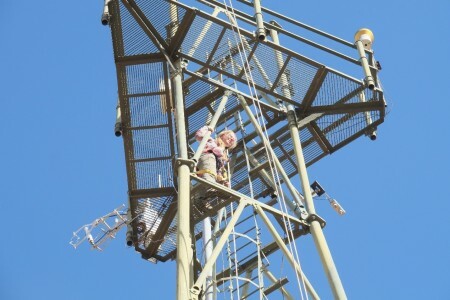 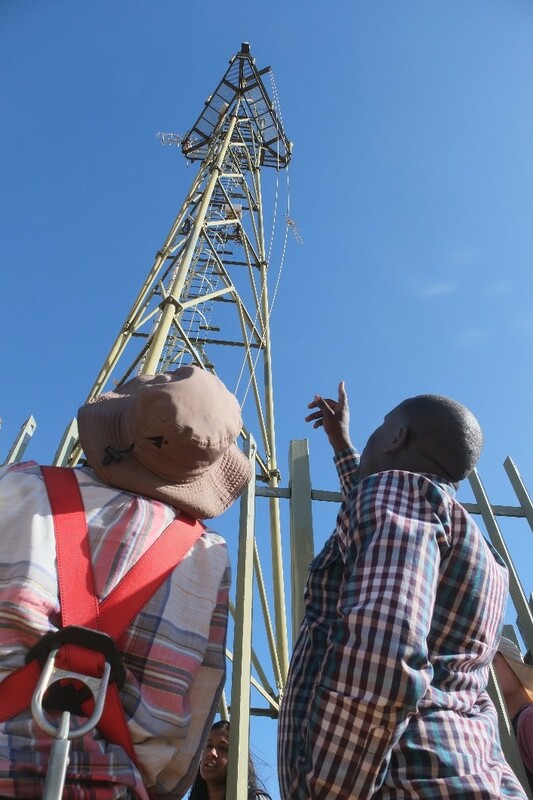 After a long game drive, we arrived at the “Tower” where water vapor measurements have been collected. Mr. Gitunga explained in depth about the challenges of data collection in the field and how technology has improved its efficiency. Group photo under the tower. 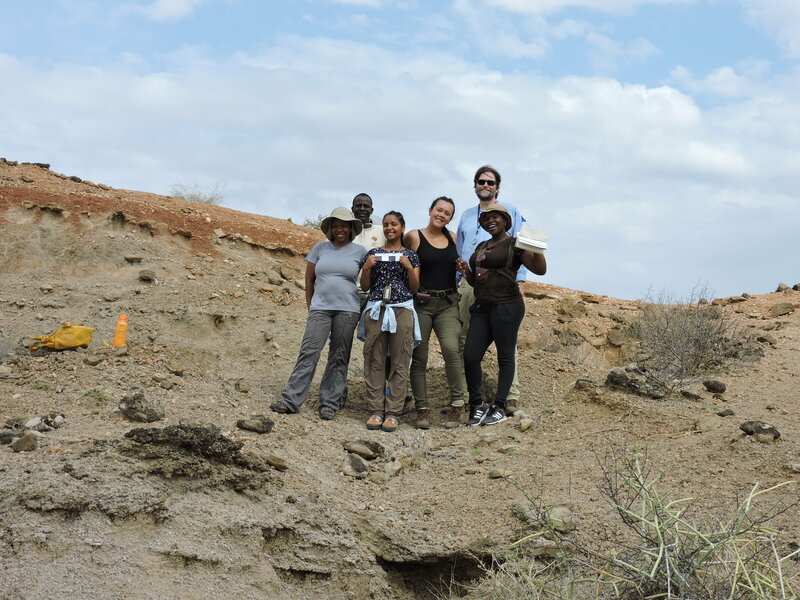 Many thanks to the instructors and staff! And on our way back, we encountered a pack of African wild dogs (Lycaon pictus), which are relatively rare in the African savanna. 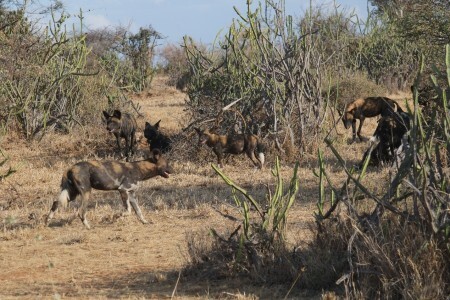 African wild dogs are social animals that live and hunt together. 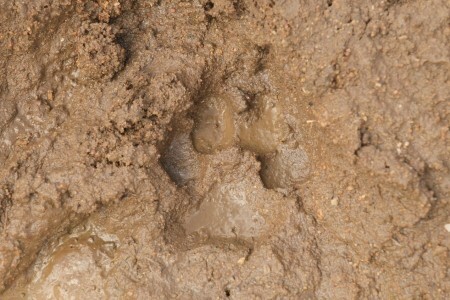 They can perform organized hunts that can bring down animals that are a lot larger than themselves. 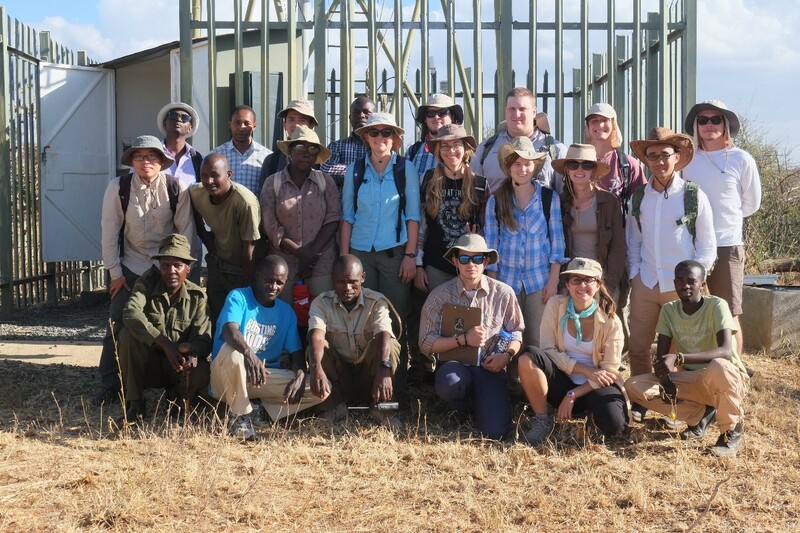 After another successful day in the field, student are ready to learn more about the King of the Jungle: the lions! Stay tuned for the next blog!